Every other day I am struck with the overwhelming fear that I forgot to flush the toilet before I left the house. It hits me like it hit Mrs. McCallister on the plane when she realizes that she left her son, Kevin, Home Alone! on Christmas, and my face probably looks like that of Macaulay Culkin on the cover of the VHS when the realization hits me. I close my eyes tight and go through the motions of my morning, trying to remember if I heard a flushing of running water while picking my nose in front of the mirror and washing my hands. Only once has this been confirmed to be true, and it was at my brothers house. He didn’t discover it until he was done work. Killer prank. A few years ago my sister told me that when you flush the toilet, poo particles shoot up from the bowl eight feet in the air, and that you are supposed to store your toothbrush in a drawer, or else you are brushing your teeth with a utensil that might as well have been used to check for prostate cancer. Since this day I have put the lid down when I flush, because if I do that, I don’t have to hide my toothbrush. I use that thing rarely enough, that if it is cached away in a drawer I would use it even less, if that is possible. I mean, if someone would have taught me how to use the toilet properly in the first place when I was four years-old, I probably would have done already. It is much easier to forget to flush when you put the lid down and can no longer see the bomb that you need to send shooting as far away from human exposure as possible. I would also say that I only push the metal flapper one out of every three times I urinate, depending on its exact hue, amount, how often I have been going, or if it is my place or not. Unless your pee is toxic and glowing green like the ooze from the Teenage Mutant Ninja Turtles 2: Secret of the Ooze, it is irresponsible to use five gallons of water to rid a liquid you can use to cure Athlete’s Foot. 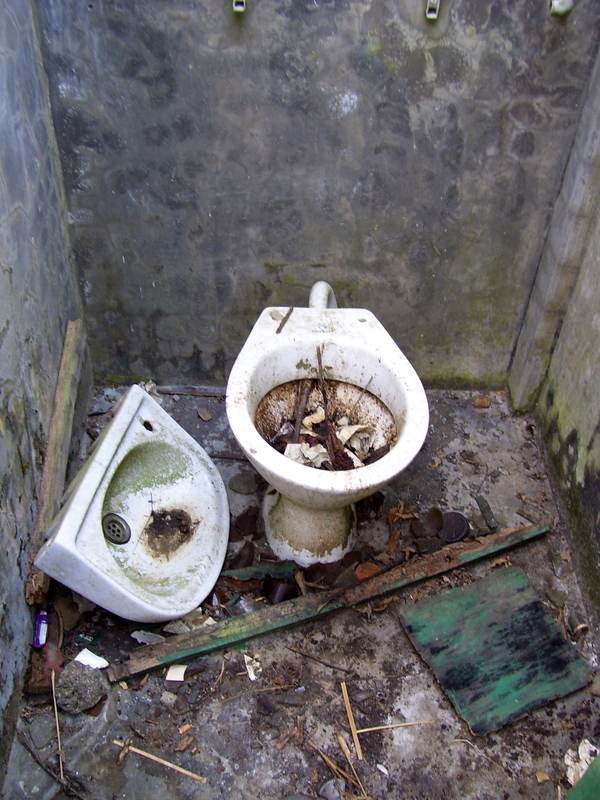 There are also many toilets in the world that flush themselves based on a small motion sensor behind the seat. These don’t help anything, especially when the flush prematurely and become like an impromptu bidet. Because of these habits, as well as my slight obsessive compulsive disorder, I regularly go through the days worried that I forgot to put a finger on the plunger and it gives me a sick feeling in my stomach until I obsess over something else, or until I come home and don’t get persecuted by one of the three girls I live with. It has yet to happen, but I fear the day is not far off. I considered using a picture of a toilet between each paragraph here, because I do have a lot, and maybe the sight of so many of them would maybe burn the habit into my mind. I have learned to close the fridge door from months passed, and I am sure I can train myself to flush the toilet. Potty training at 21 years. It is a fine age we live in. Two bathroom posts in a week. It is fine literature we read.